Dr. Tadesse joined the NDMC in August 1998 as a graduate research assistant pursuing his Ph.D. at the University of Nebraska–Lincoln. From July 2002 to May 2005, he served as a research associate in a collaborative research project, “Drought monitoring through integration of satellite and climate data”, with the National Center for Earth Resources Observation & Science (EROS) in Sioux Falls, South Dakota. 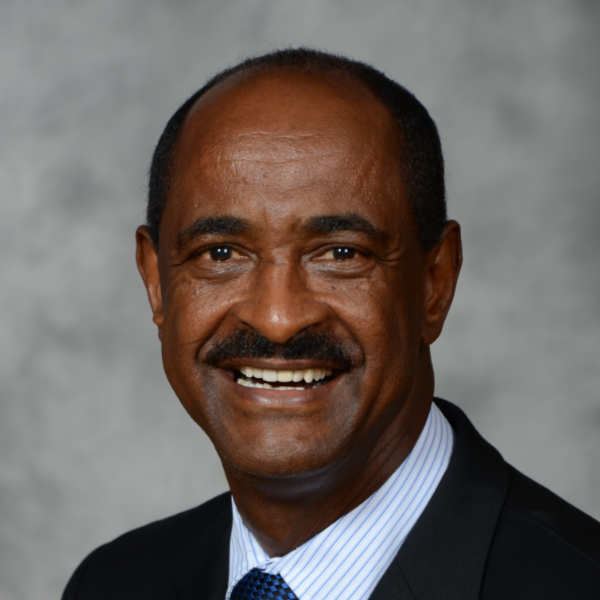 Dr. Tadesse has served as assistant professor within the School of Natural Resources (SNR) and climatologist with the NDMC since June 2005. His responsibilities include establishing a research program on the development of drought monitoring tools in support of other monitoring activities of the NDMC and other collaborating organizations using satellite- and climate-based data and employing data mining techniques as appropriate; collaborating with NDMC faculty and staff and scientists at other institutions in the conduct of research on the drought climatology of Nebraska, the region, and the nation; and playing a significant role in conducting scientific research to help educate students and the public about drought management and planning issues. His research interests include applying data mining and remote sensing techniques to drought; climate change issues, specifically on monitoring and impact assessment at global, regional and local scales; and impacts of drought on food security.